TF-104G 62-12279/9-279 shows some fascinating features while awaiting its unpleasant fate at Eskisehir. Before serving with the THK, it was active in Spain as part of a MAP- delivery with s/n CE.8-2 (1965-1972). 12279 is shown here in a Luftwaffe-like camouflage applied in 1987, but it never flew in German service. 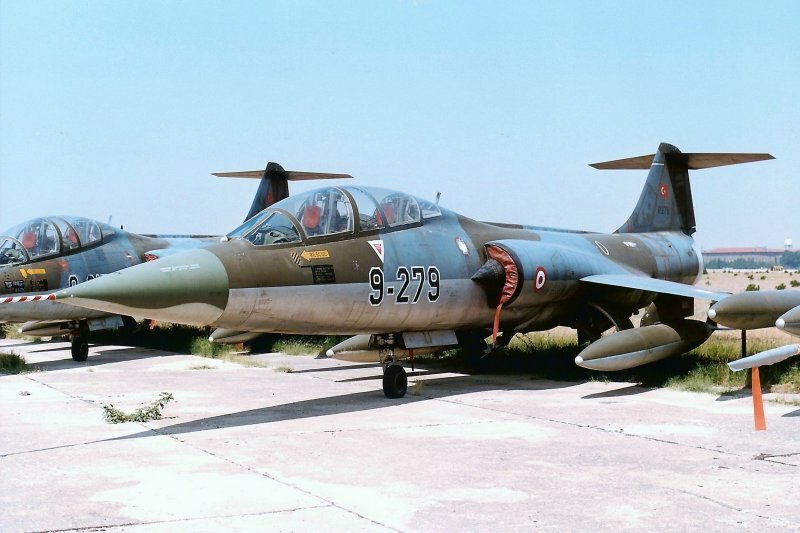 Nose cone clearly comes from a former Belgian F-104. On the background TF-104G 5817/9-817 is parked. This used to be the Dutch AF D-5817.